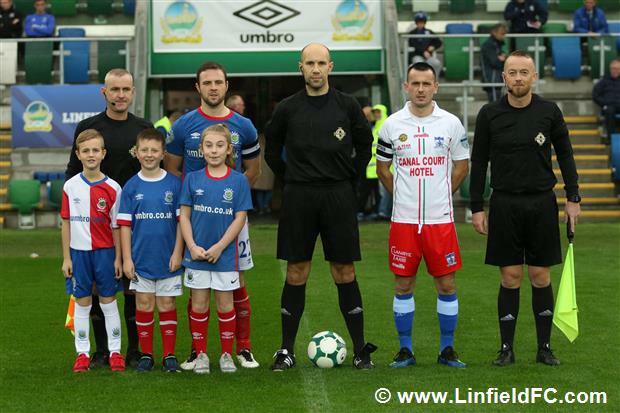 Linfield manager David Healy celebrated three years in the job by watching his Blues team move top of the Danske Bank Premiership with an important victory over Newry City at Windsor Park this afternoon. 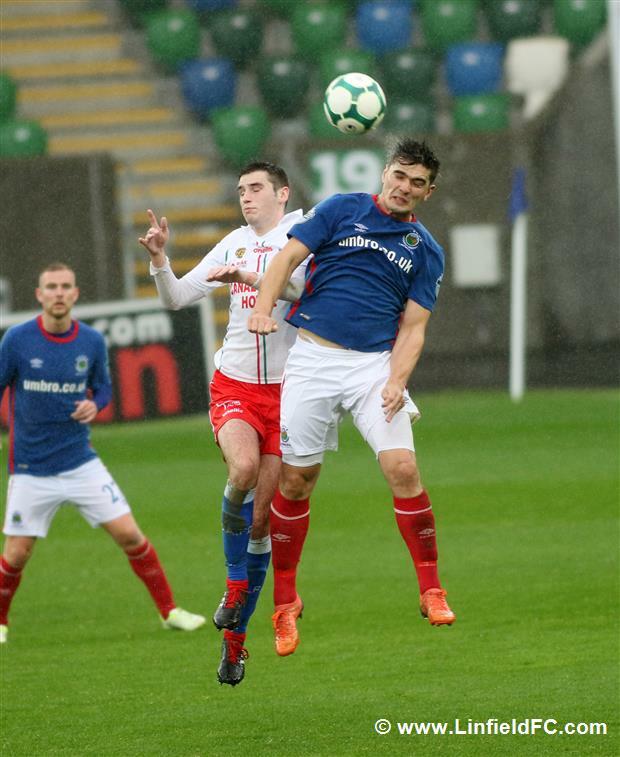 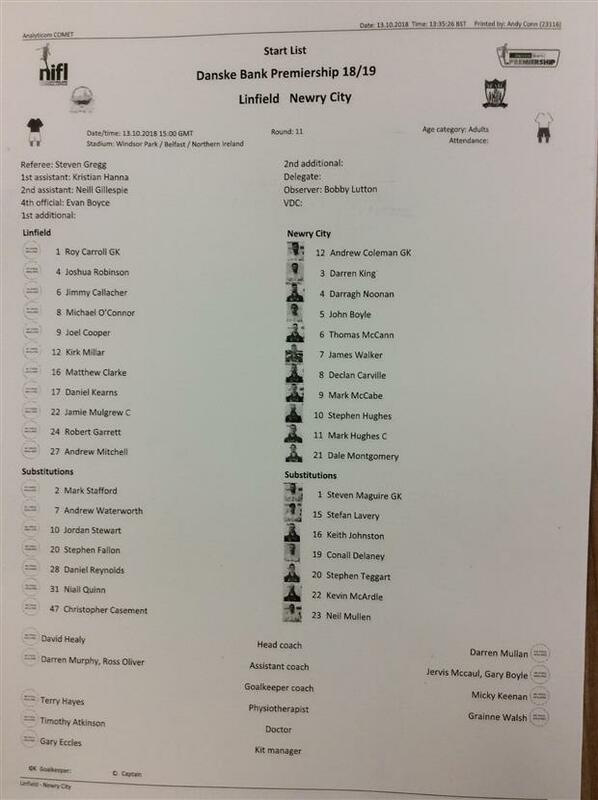 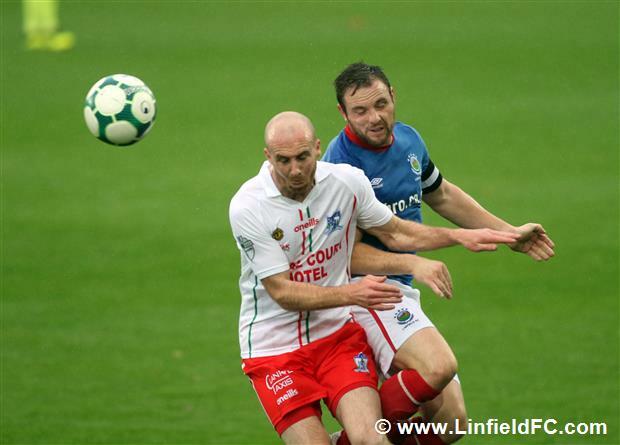 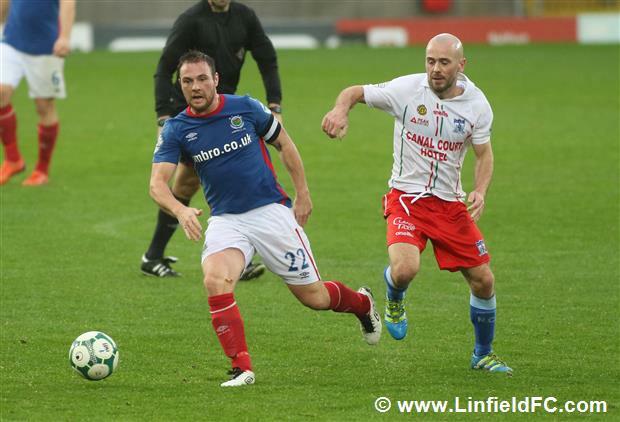 Things started well for Linfield as they notched the early goal which prevented Newry from setting up to frustrate. 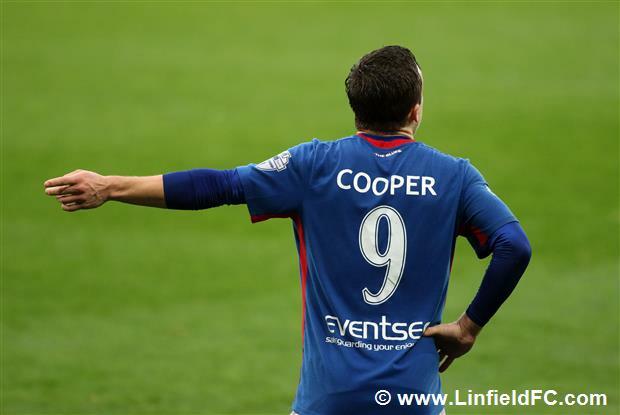 Joel Cooper whipped in a corner and Jimmy Callacher powered home a header for his second goal of the season after nine minutes. 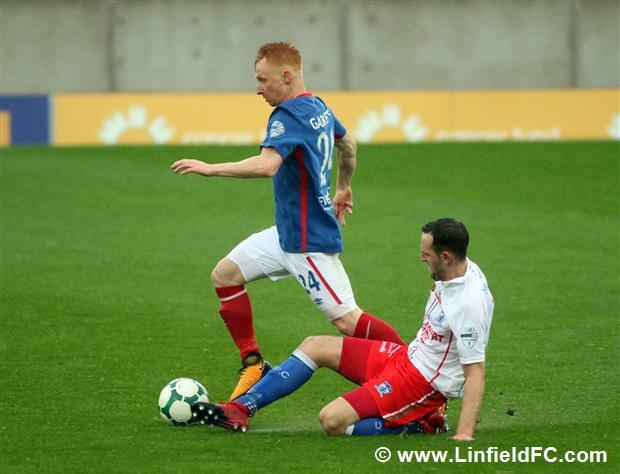 Michael O’Connor almost celebrated his new contract with a goal when Joel Cooper slid the ball low across goal, but the big striker couldn’t quite connect. 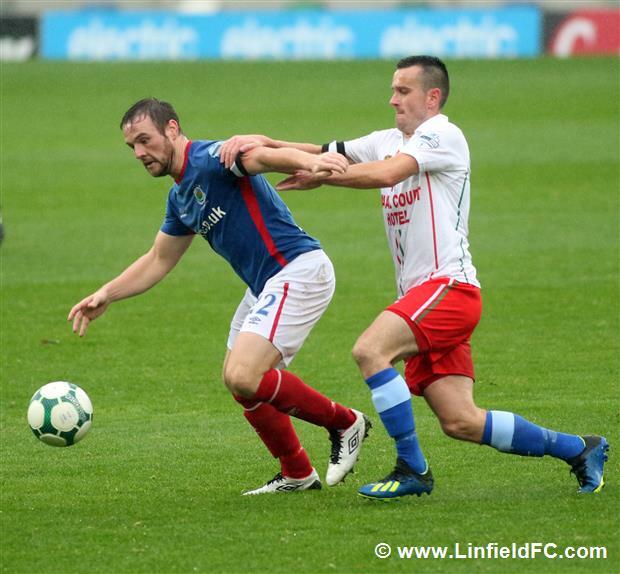 He was also denied by Andy Coleman in the Newry goal a moment later when his low strike from distance was well held. 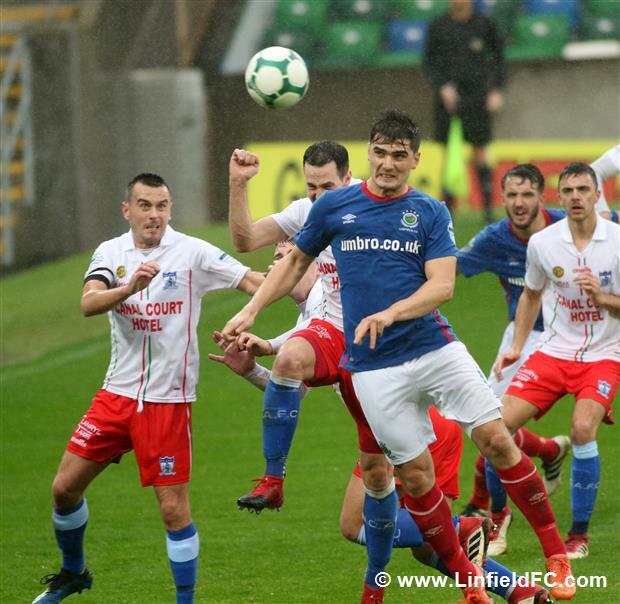 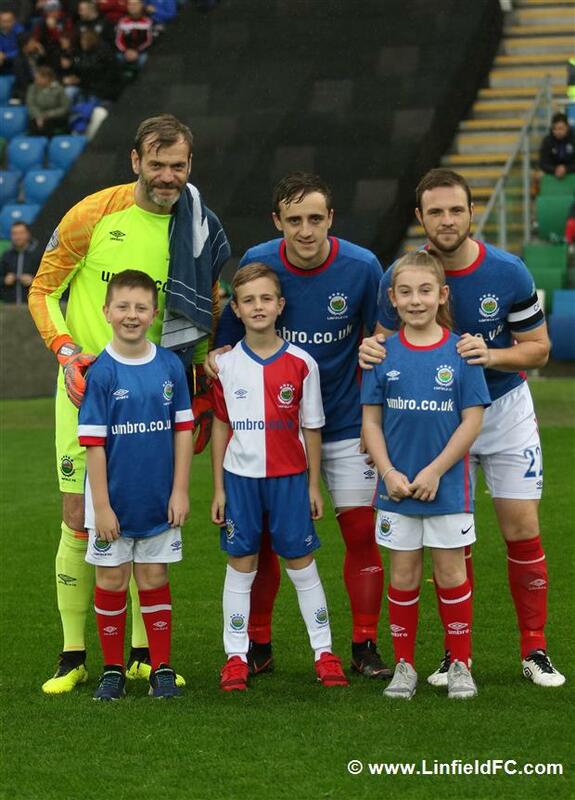 For all Linfield’s possession, it took a top class save from Roy Carroll to maintain their lead after 24 minutes when the 41 year-old sprung across goal to push Thomas McMann’s driven effort away from the top corner. 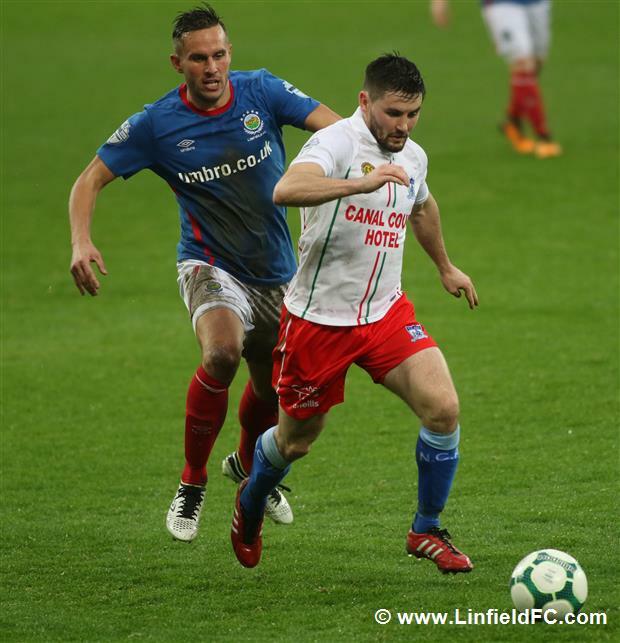 Daniel Kearns threatened a second for The Blues with a header from Jamie Mulgrew’s cross, but he couldn’t direct his header on target after good work from Mulgrew to beat his man down the left. 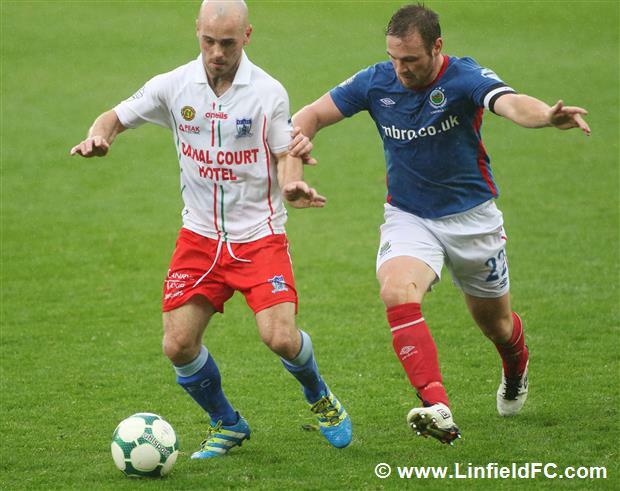 Jimmy Callacher grabbed his and Linfield’s second on the half-hour. 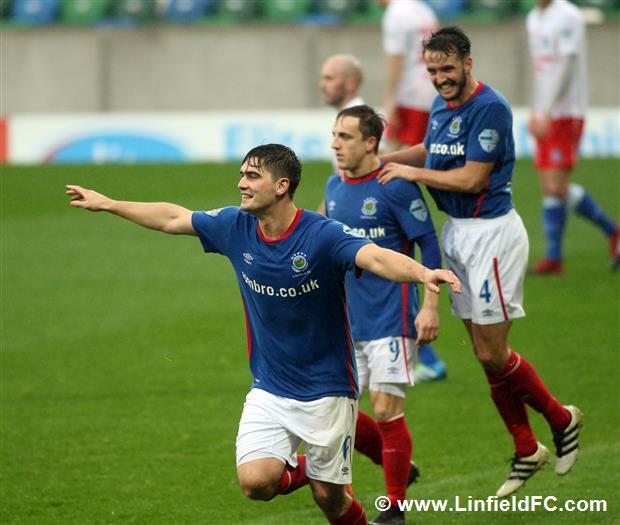 This time the corner was fired in from Kirk Millar on the left side and the 27 year-old defender got across the front post to steer home a bullet header – his third of the season. 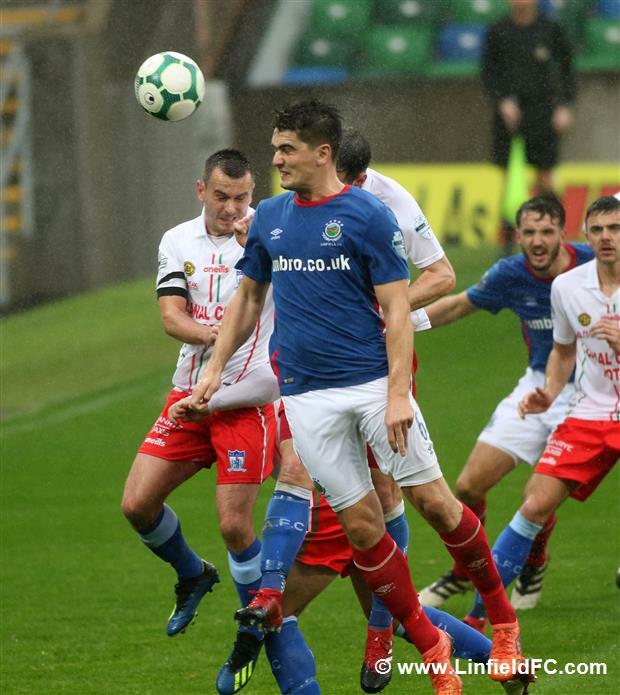 After coming off injured on Monday night after several heavy Glentoran challenges, thankfully, Joel Cooper was able to play and the mercurial attacker almost put the game beyond doubt moments before the break, after being slipped in by Daniel Kearns but his shot cannoned back off the far post. 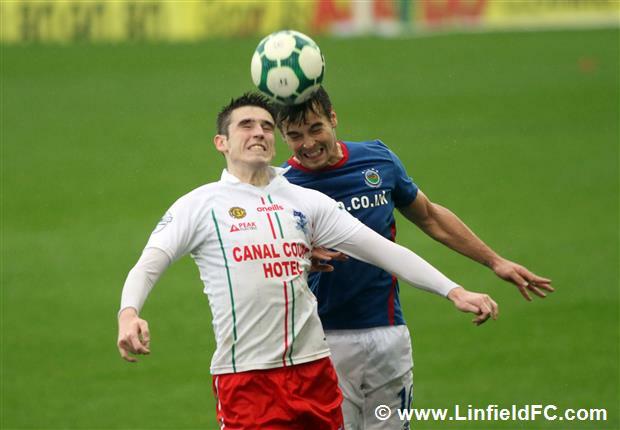 Andy Coleman then produced a world class save to keep it at two when he somehow clawed away Michael O’Connor’s header at the back post. 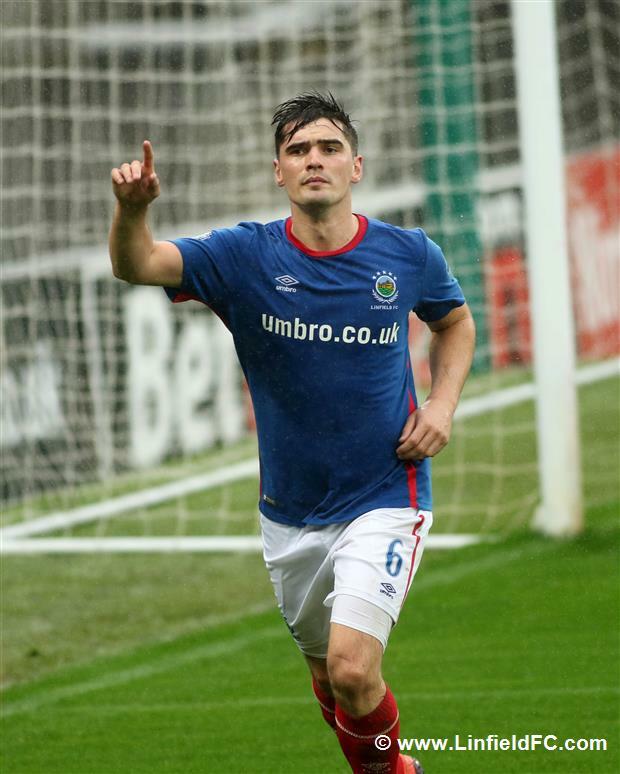 The striker didn’t do a lot wrong and everyone thought it was a certain goal. 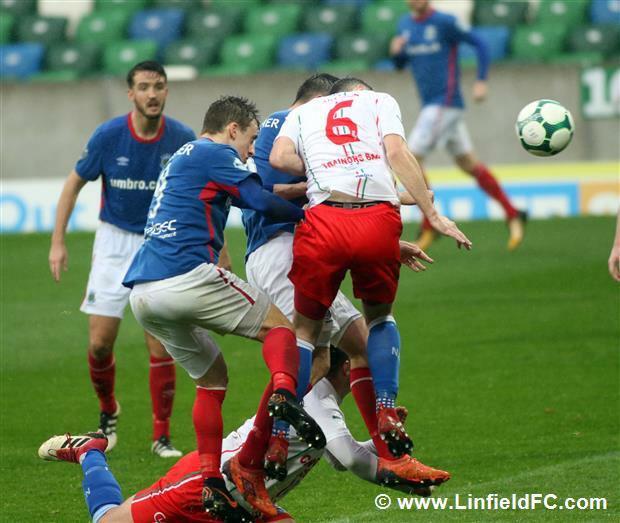 In the process, the 20 year-old striker clashed with the post and appeared to be unconscious but he was able to continue after treatment from the Linfield medical staff. 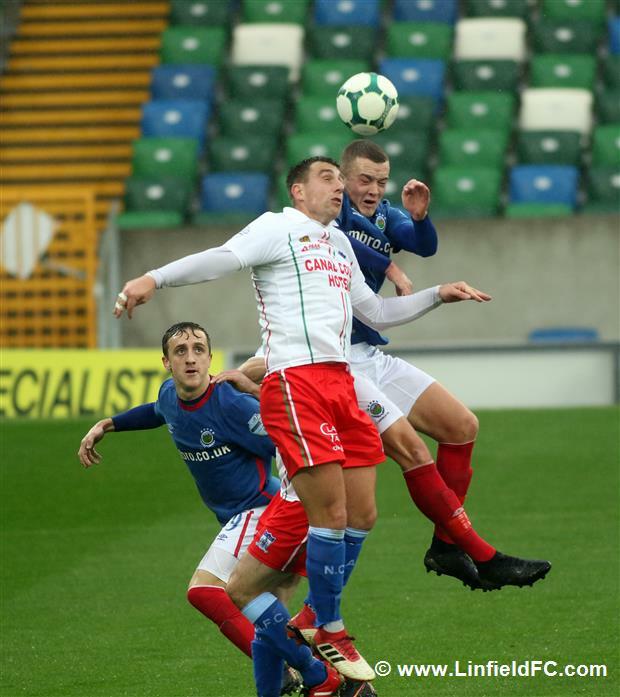 Michael O’Connor must have been thinking it just wasn’t going to be, in front of goal as he struck a ferocious effort from distance but it flashed just over the crossbar – a brilliant effort which Coleman had to keep his eye on. 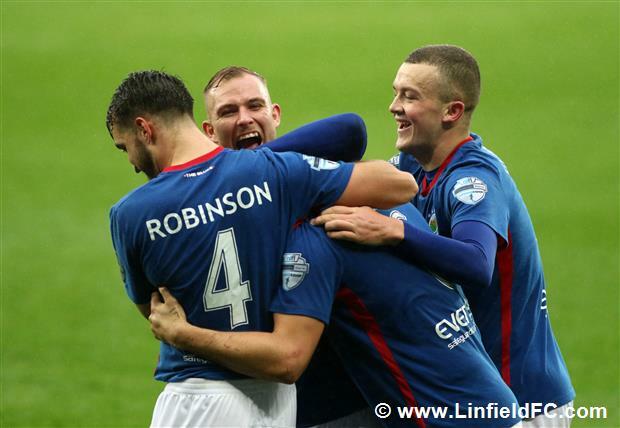 Robert Garrett almost opened his account for the season when he was teed up for a strike on the edge of the box by Jamie Mulgrew after a neat build-up. 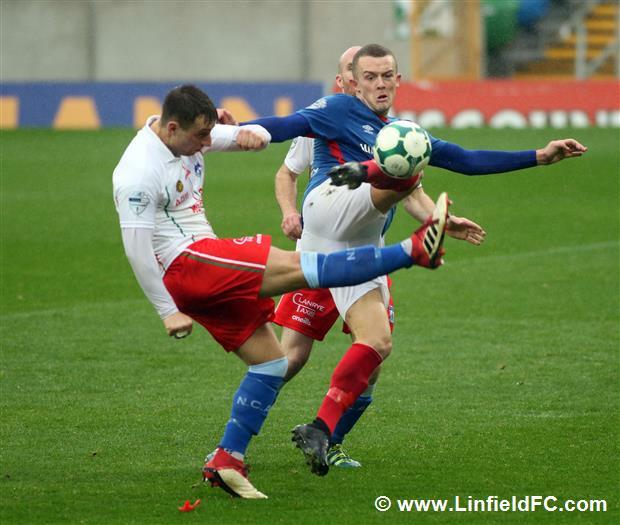 Garrett hit his shot sweetly and his heading for the net, only for Coleman to tip it over the crossbar superbly. 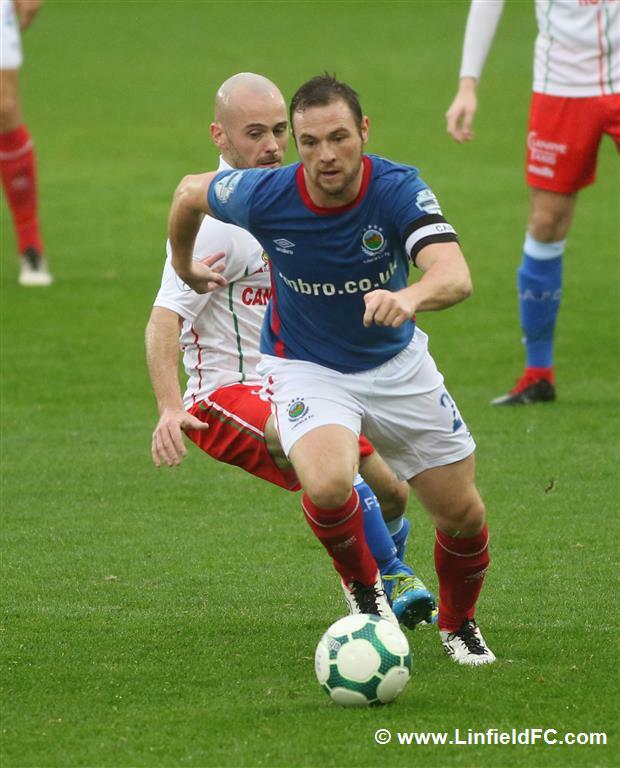 Newry temporarily got themselves back in the game 20 minutes from time when the ball ricochet around the box before Kevin McArdle lashed a strike at goal, which was deflected into the net. 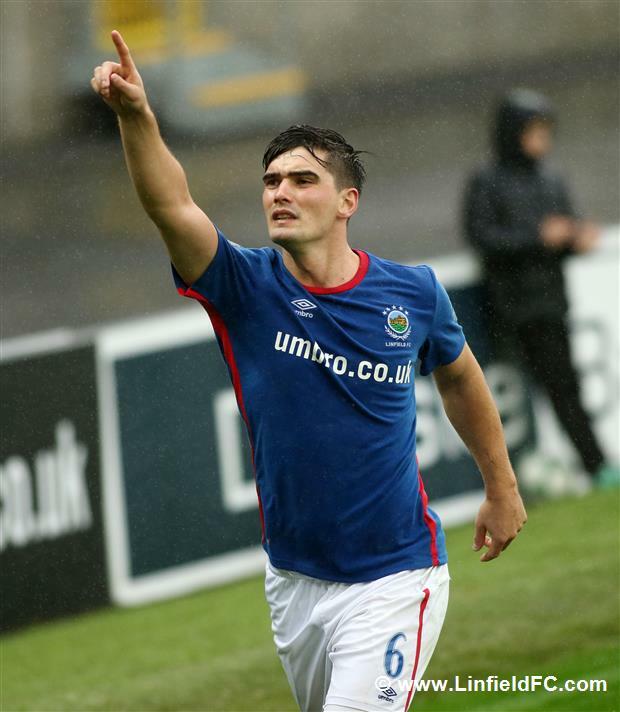 It was a day to remember for Jimmy Callacher, as he completed his hat-trick a minute later to restore Linfield’s two-goal cushion. 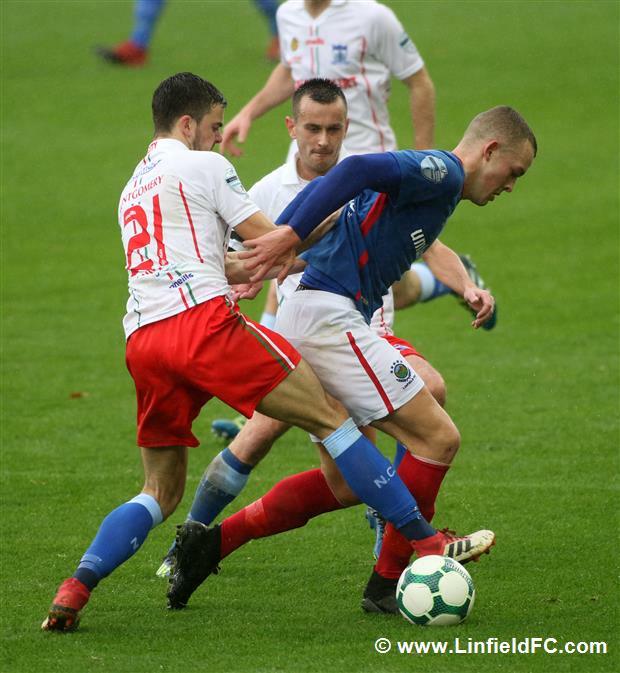 Niall Quinn’s corner was cleared initially but the ball came back out to the substitute and he fired in a tempting cross for Jimmy Callacher to power home another header. 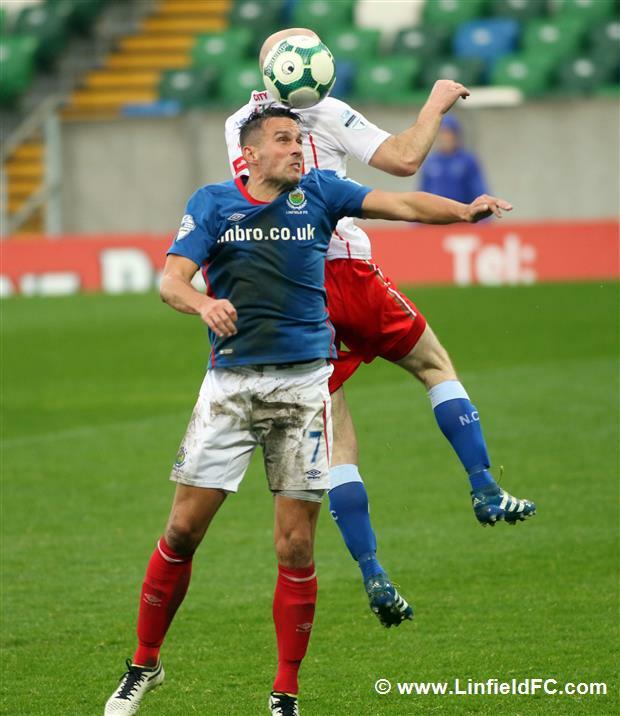 Callacher was just as effective at the other end, as he threw himself in the way of John Boyle’s powerful strike which may well have been destined for the net. 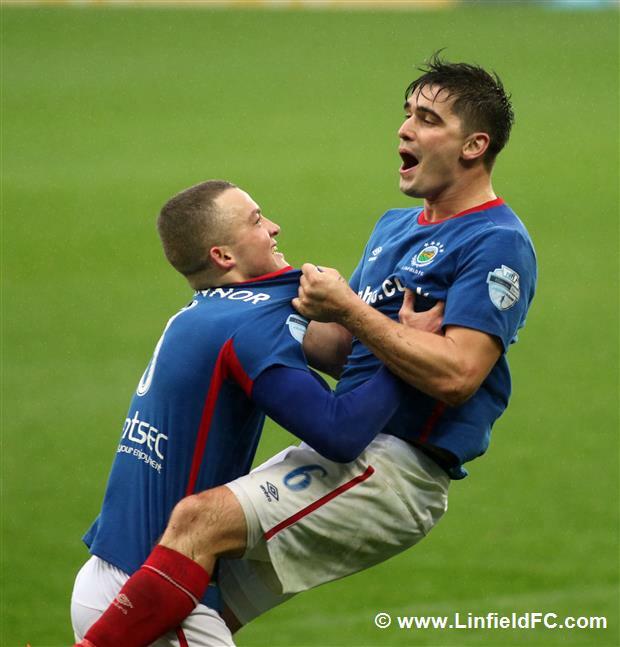 The Blues ran out comfortable winners and on another day could have scored more. 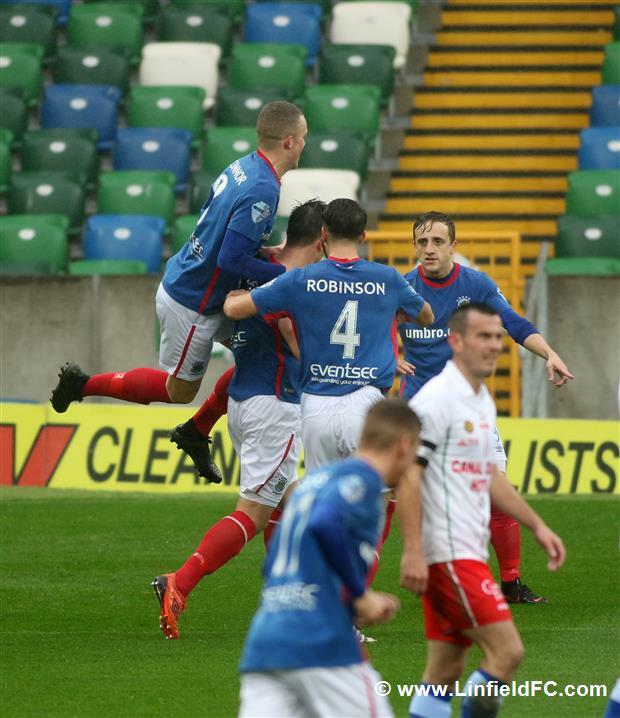 The only disappointment will be not keeping a clean sheet but moving top of the table to take advantage of Glenavon not playing was crucial and Linfield managed to do just that.